Shopping for a digital projector? If you’ve ever attended a company meeting, whether in a boardroom or a hotel ballroom, you’ve seen the latest tool of 21st-century business: the digital projector. Like the slide projector of another era, these devices illuminate images and text, and project sound when connected to a speaker. But unlike the old Kodak Carousels that cost in the low hundreds of dollars, digital projectors have been pricey — typically $1,000 and up. Prices, however, are falling. Many good, entry-level projectors can now be had for as low as $600. We looked at two entry-level models, Epson’s PowerLite S4 and InFocus’ Work Big IN24+. They retail for $599 (after a $50 rebate) and $649, respectively. •Lumens. Your most important decision. Like megapixels with digital cameras — the more the merrier for a sharper picture. Lumens measure the brightness of the image. •XGA or SVGA? More camera-like terminology. These measure pixels shown on the screen. XGA is 1024×768, vs. SVGA’s 800×600. Key point to remember: XGA offers a better picture. If you are going to project images onto a wall in a dark room, lumens and XGA don’t matter as much. It’s when you’re competing with daylight that the lower-quality images start to pale. Now, on to the Epson and InFocus projectors, which have 1,800 and 2,200 lumens, respectively. Both are SVGA models. I ran my first tests on the projectors in a totally dark room. Both looked great, despite the InFocus’s 400-lumen advantage. The next morning in daylight, both were OK, but considerably weaker. Then I plugged in another Epson model, the PowerLite 1715c, which has 2,700 lumens and XGA resolution. The difference was night and day. It was that much brighter. 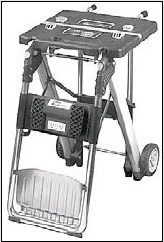 The unit, around $1,800 online, was also three times the cost. Connectivity can be touchy for anyone who likes to show off Web pages or PowerPoint presentations. Many laptops have special buttons that must be pressed to communicate with the projectors. (Like the “Function key plus F7” combination.) At first, when connecting the Epson and InFocus projectors to an IBM laptop, there was nothing there. After a reboot, the images showed right up. Dicklich says that for most business users, a $600 projector with fewer lumens and SVGA image quality is fine as long as ambient light is on your side. Otherwise, look to spend upwards of $1,000. 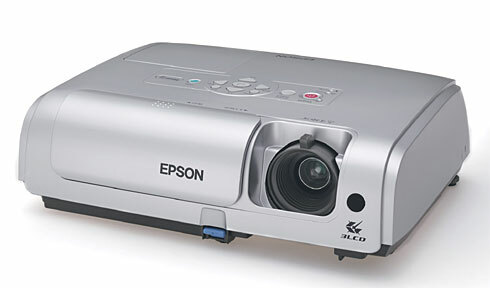 And if you can find a great deal on Epson’s $1,800 PowerLite 1715c — with wireless and USB connectivity and weighing just 3.7 pounds — snap it up, or one like it. It’s a beaut. Nearly two-thirds of all projector sales go to businesses and schools. But individual consumers snap up about a third of them to create a cinema-style home theater. A projector and screen can be yours for under $1,000. A surround-sound receiver and lots of speakers are optional extras that will add to your tab. Pro: You’ll be able to project the image as large as your wall will allow. Con: The room has to be very dark, as in a theater, or the image will wash out. “Instead of paying thousands for a flat-panel TV, you can pick up a projector, get a good screen, and have a really nice home theater setup,” says Dave Dicklich, publisher of ProjectorCentral.com, a website devoted to projectors. Most folks watch TV in the evening, so odds are the lights can be dimmed. That can make buying a budget projector a sweet deal for consumers. Expensive projectors have lots of “lumens,” which measure the brightness of the light. But that only matters in rooms with lots of ambient light. For home use in a dark room, budget projectors with 1,500 to 1,800 lumens look terrific. Plug the projector into your cable or satellite high-definition box, and you can be beaming hi-definition TV onto your screen or wall, at a fraction of the cost of a big plasma set. But will it look as good? Posted in Technology Related Articles | Comments Off on Shopping for a digital projector? If someone uses your Social Security number on a credit application, you might not find out about it. Not even if you checked your credit report. Why? You could be a victim of synthetic identity fraud — a rapidly growing type of ID fraud. Thieves literally create new identities either by combining real and fake identifying information to establish new accounts with fictional identities or create the new identity from totally fake information. In typical synthetic fraud, a fraudster uses a real Social Security number and combines it with a name other than the one associated with that number. The combination often doesn’t hit the consumer’s credit report, says Chris Jay Hoofnagle, senior staff attorney to the Samuelson Law, Technology and Public Policy Clinic and senior fellow with the Berkeley Center for Law and Technology at the University of California. Synthetic fraud is quickly becoming the more common type of identity fraud, surpassing “true-name” identity fraud, which corresponds to actual consumers. In 2005, ID Analytics reported that synthetic identity fraud accounted for 74 percent of the total dollars lost by U.S. businesses to ID fraud and 88 percent of all identity fraud “events” — for example, new account openings and address changes. Synthetic ID fraud should not be confused with true-name identity fraud. Real people’s identities are assumed in true-name ID fraud, whereas in synthetic fraud scammers create a whole new identity to open a new account. Here are some of the main differences. Combine fake and real consumer information or all false information to open an account. Social Security numbers and/or names might be changed to create new identities. Consumer’s real identifying information is used without modification. The fraudster poses as the actual consumer. Synthetic identity fraud mainly hurts creditors, but it affects consumers in three main ways. 2. Debt collectors could come after innocent consumers. There could be a consumer victim if a creditor ignored the fictitious name given and pursued the individual whose Social Security number was used, he says. Collection agencies have the ability to perform “Social searches” on Social Security numbers to find current addresses for delinquent debtors. A Social search will also turn up names associated with that Social Security number, which means innocent consumers could hear from debt collectors. 3. Synthetic ID fraud creates file variations at the credit bureaus. The other problem is that synthetic ID fraud creates subfiles at the credit bureaus, says Hoofnagle. The term subfile, says Evan Hendricks, author of “Credit Scores and Credit Reports,” refers to additional credit report information tied to a real consumer’s Social Security number, but someone else’s name. Because the identifying information contains some data that’s already linked to a particular consumer, the subfile gets associated with the consumer’s main file, or “A” file. Subfiles can surface when a creditor checking a consumer’s credit report asks for all the possible files related to that consumer — if they want all the files associated with a particular Social Security number. The problem comes in when negative information gets entered under a subfile that is then linked to, but doesn’t actually belong to, you. If you have good credit and derogatory information is going into your subfile, that could negatively impact your ability to get credit, he says. Extra file information is possible because of the way information gets collected and stored at the credit reporting agencies. “The algorithms allow for partial matching so they’ll accept a Social Security number that’s not exactly the same or a name or address that’s not exactly the same as long as enough things match up,” says Hendricks. Yet variations are not always due to the work of fraudsters, says Maxine Sweet, Experian’s vice president of public education. She says variations can occur due to typos; for instance, when a creditor types in the information from an application to request a credit report on a consumer. Two names could also get associated with one Social Security number; for example, when a woman changes her name after marriage. Fraudsters simply take advantage of these misspellings, typos and other natural variations and cash in on them. Consumers can employ traditional methods of detecting identity theft: ordering credit reports and checking them carefully for erroneous information and accounts that don’t belong to them, and keeping an eye out for suspicious mail. You also should make sure that creditors, if they deny you credit, based their decisions on your credit file information only. 1. Check your credit reports. First, look for accounts that don’t belong and report them to the credit bureaus. Also, watch out for inaccurate versions of your name, address or Social Security number. 2. Watch your mailbox. Look out for suspicious mail, such as change-of-address notices and credit offers with significant variations on your name. Notify the credit bureaus of your correct name. Contact your post office if you didn’t initiate an address change. 3. Monitor your Social Security number. “Credit monitoring doesn’t help,” says Avivah Litan, a vice president and analyst at Gartner Inc., of its ability to detect synthetic identity fraud. Credit monitoring won’t catch instances where the fraudster uses a different name, date of birth or address along with the consumer’s real Social Security number. Instead, there are identity monitoring services out there, such as Intelius and MyPublicInfo that will, for a fee, scour the Web, black market and public records for personal and financial information belonging to the subscriber, such as an address, credit card number or Social Security number. Unlike credit monitoring, the service doesn’t rely on a Social Security number matching other identifying information. They’re not all-inclusive, cautions Litan, who says they are only 60 percent to 70 percent reliable at the moment. They’re only as good as their data sources, she says, so scrutinize the product’s description before you buy. You can also order a free public records report once a year from ChoicePoint. To find out if someone is using your Social Security number to obtain employment, you can order your Social Security Statement, which provides a record of the earnings on which you have paid Social Security taxes, online, via snail mail, by calling (800) 772-1213, or by going to your local Social Security Administration office. Call the fraud hot line at (800) 269-0271 if you find earnings you don’t recognize. Consumers cannot find out if another person’s consumer credit report is associated with their Social Security number because of privacy issues, Sweet says. 4. Scrutinize credit denial letters. If you get turned down for credit, make sure the decision was based on your file information only. “If they’re turning you down and you think there’s a possibility they may have gotten the wrong file, look to see if they sent you your letter with all the right identifying information,” says Sweet. Follow up with the creditor if the information is wrong and ask them to check your credit again, after they verify your identity, she says. New Westminster’s Columbia Street is a prime example of a town’s once-bustling main thoroughfare being dealt a near-fatal blow by the rise of mall culture. However, with a college close by, two SkyTrain stations, and the recent arrival of lofts and condos, Columbia is on the slow rebound, starting to attract a quirky mixture of bookstores, upscale shops, and formal and/or funky clothing boutiques. As much a club as a restaurant, the Grill offers jazz combos every evening at 8 p.m. and at noon on Sunday. (The website includes the entertainment schedule for the coming months.) Its intimate space was reclaimed two years ago from another eatery: there are four comfy booths much favoured by regulars, a scattering of large and small tables, and a minute stage area up front, under a metal palm tree. Furniture includes recycled chairs and tables decorated in “Jack the Dripper” Pollack mode, and the best you can say about the orange on orange decor is that its shabby comfort suggests The Drive rather than the burbs. The view through the front windows is decidedly urban, given the large grey Army & Navy store directly opposite. But a grill is a grill, and food counts much more than ambience. Warned by our charming waitress about the size of the entrees, we avoided appetizers. All the classics are represented on the menu, perfectly suitable for nibbling during jazz sets. But we felt an obligation to sample the onion soup, the touchstone of pub grub, and especially welcome on a drizzly November evening in May. It was deep and rich and –critical point here — the toasted cheese crouton made with a gutsy slice of good bread did not dissolve at the first touch of a spoon, but maintained its integrity. The special of the evening was a massively generous Cajun chicken and andouille sausage stew, served atop a crisp corn cake whose relatively bland sweetness perfectly accented its agreeably gooey topping. The further you go into a Cajun dish, the spicier it gets, and soon we felt warm for what seemed the first time in weeks. We also tried the jambalaya, which proved not quite as “traditional” as it was billed, and a good thing, too: rice with the classic celery, pepper and tomato combo, prawns cooked au point and not the least bit rubbery, plus clams, mussels, halibut, and salmon. This was a true West Coast reinvention instead of a pro forma imitation of the southern original. Desserts included a homemade tiramisu, a New York cheesecake, and a decadent chocolate brownie. We opted to split a serving of the startlingly funky/rich Gorgonzola and walnut cheesecake with mango/honey coulis — not for anyone who’s ever used the phrase “stinky cheese,” but close to ambrosia for those who like this kind of thing. Open Monday to Thursday, 10 a.m. to 2 p.m., Friday and Saturday 11 a.m. to 2 a.m., Sunday 11 a.m. to 12 p.m.
It’s nearing the end of the week. I’m tired and grumpy and fixating on things that annoy me. For one thing, why don’t servers give prices for the daily specials? And for another, why do large parties of women shriek with laugher, oblivious to neighbouring tables? Okay, I confess. I’m guilty of that, too. And three, where exactly are the next generation of Latin and Vietnamese restaurants? The ones with a little more refinement and creativity. I’ve been waiting for them to be the next big thing. We have Baru (on Alma) which is cool and unique. And what do you know — I just discovered LK Dining Lounge in Yaletown has made a U-turn to Latin-influenced food without much fanfare or clues to the nature of cuisine in their name. As far as I knew, LK stood for Lily Kate, which was its birth name two years ago, after owner Britta Joyce’s two grandmothers. Once you walk through the doors, the clues hit. The room is saturated in modern Latin sound and the dark wood blinds lend a “plantation” look. One wall is a giant screen for projected images, which might be of a Mexican beach scene or tropical rainforest. The original modern open space has been divided into two dining areas by means of a flimsy wooden blind which unfortunately narrows the entrance to an uncomfortable runway. Travis Williams, the chef, comes straight from Adessa, a lovely Italian bistro in Kitsilano which didn’t survive. At LK, Williams’s food has a similar quality as it did at Adessa — a nice balance of flavours and a light touch, even with the spicy, assertive nature of Latin food. 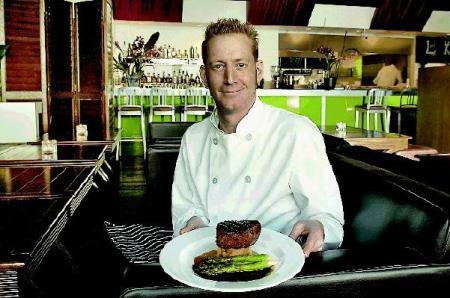 Williams has also worked at Bluewater Grill (seafood) and Cincin Ristorante (Italian) and generally, his food is sophisticated, nicely balanced and light. His seafood prowess showed in the cilantro-lime sablefish with citrus coconut milk reduction but was hit and miss in the paella Marisco with achiote risotto and lemon aioli. Prawns were overcooked and mussels were undercooked but scallops were perfectly done. Crab and plaintain fritters weren’t memorable but came with a tasty red pepper emulsion. His meat-centred dishes were uniformly delicious — from the mini jerk-spiced sirloin burgers to the cumin cinnamon braised lamb shank (although I hoped to taste the cinnamon, but didn’t); adobo chicken tinga, a pizza-like dish with corn, ham chicharrones (crispy pork rind), tomato salsa was delicious but at $14 for a smallish portion, was over-priced. Dishes come in three sizes — bite-sized tapas ($5 to $7), sharing “tabla ($10 to $14) and entrees ($24 to $29). The menu warns of an 18-per-cent gratuity for parties of six or more but I think the customer should decide on anything more than 15 per cent. What if service is incompetent? Although that’s not likely to be the case — I found the service exceptionally friendly and accommodating. Weekly events include wine at retail cost plus $5 and a $55 tasting menu on Wednesday (call ahead); 4 tapas and two cocktails for $20 on Thursdays. Cocktails are Latin-leaning and wines include a good representation from Latin countries. 1265 Hamilton St., 604-687-5885. lkdininglounge.com. Open for dinner, Tuesday to Saturday, from 5 p.m. The $800-million-plus Vancouver convention centre expansion will become “the biggest empty ballroom in town” unless it is able to attract more business opportunities soon, Fairmont Hotels & Resorts regional vice-president Phil Barnes warned on Wednesday. The amount of business booked for the new centre after the 2010 Olympics simply isn’t good enough, he said in an interview after Tourism Vancouver’s annual general meeting. The convention centre project — originally priced at $495 million — will triple the amount of meeting space at the Canada Place facility when it opens in early 2009. It will be used as the international broadcast centre for the 2010 Olympic Games. Outgoing Tourism Vancouver chairman Jim Storie told the meeting the new convention centre currently has projected occupancy rates of just 38 per cent for 2011, 28 per cent in 2012, and three per cent in 2013. He said officials need to book 80 to 90 new future conventions by the end of 2009 to ensure respectable occupancy levels for the 2010-to-2015 period. Barnes, who soon leaves Vancouver to take up a new Fairmont Hotels posting in Dubai, said he’s extremely concerned about the situation. Barnes said Tourism Vancouver should have the sole responsibility for booking conventions into the centre — something that’s currently shared between Tourism Vancouver and the Vancouver Convention & Exhibition Centre. “Give them targets and hold them accountable, because I don’t know who’s accountable for it today,” he said. Tourism Vancouver president Rick Antonson said his organization needs more funding to do a better job of selling Vancouver as a convention destination. Antonson said Tourism Vancouver could use another convention salesperson in Chicago, one or two more in Washington, D.C., one in Texas, and another in Europe. Tourism Vancouver currently operates with a $12-million annual budget, compared with $28 million in Montreal, and $30 million in Toronto. Microsoft Chairman Bill Gates once talked about putting a PC on every desk. Now Gates is talking about turning the desk itself — or a tabletop — into a computer. Microsoft is set to announce an ambitious new computing category today called “surface computing” to try to make it happen. The initiative, several years in the making, transforms an ordinary tabletop into a translucent, interactive façade. The surface can recognize cellphones, digital cameras, special ID-coded digital dominoes and other physical objects. And it can respond to human touch. Kids can finger-paint digitally. Business travelers can dive into maps and surf the Web without a mouse or keyboard, by using simple touch gestures across the screen. In restaurant settings, you’ll be able to order meals and play digital board games. At home, there may be no more fussing with the half-dozen remote controls sitting on your coffee table. That’s because the table becomes the remote control. Microsoft CEO Steve Ballmer plans to unveil the first of these interactive tables, branded Microsoft Surface, today at the D: All Things Digital executive conference in Carlsbad, Calif. The initial products, pitched at businesses, consist of a 30-inch acrylic horizontal display that sits on top of a nearly 2-foot-tall table. The public will likely get its first peek in November in restaurants, hotels, casinos and stores. Commercial launch partners include Harrah’s Entertainment, Starwood Hotels & Resorts Worldwide, T-Mobile USA and global gaming machine designer International Game Technology (IGT). Microsoft has longer-term designs on schools and, likely three to five years out, the home. “We’re starting at the high end, sort of like you’d think about big flat-screen displays or even the initial personal computer,” Gates told USA TODAY. “But there are ways that the hardware cost of this will come down very dramatically.” For now, the rough cost of each installation is $5,000 to $10,000. “We see this as a multibillion-dollar category, and we envision a time when surface computing technologies will be pervasive, from tabletops and computers to the hallway mirror,” Ballmer says. 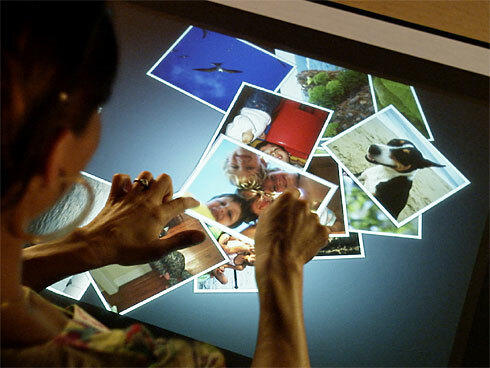 Several people at once can interact with the Surface tabletop — to play games, choose music or whatever. Below the tabletop are cameras with infrared filters to sense objects plus custom software built around Windows Vista. Projectors display what you see on the surface. Surface also piggybacks off common technologies including Wi-Fi and Bluetooth wireless. The tables can “read” optical tags and bar codes embedded, say, in credit cards and room keys. But Surface goes far beyond familiar touch-screens in kiosks, ATMs and elsewhere. Similar technologies have been shown in public before. Last year at the prestigious TED conference, New York University human-computer interface designer Jeff Han wowed the crowd with a demonstration of a prototype virtual tabletop photo light box in which he could move and manipulate photos with his fingertips. Han founded a company called Perceptive Pixel to try to market advanced multitouch systems. Such a start-up, of course, can’t match the resources of Microsoft to push surface computing as a business. To be sure, any over-the-top Microsoft product launch invites skepticism. For all its software dominance through the years, not all of Microsoft’s bold initiatives have paid off: Think everything from .Net Web services to Portable Media Center entertainment devices. Those and other efforts have been attempts to reshuffle or extend the Windows flagship or require partners to use more Windows servers. Microsoft developed the software and is building the hardware in the early going. Gates says the company will license the software to partners interested in producing machines. There are reasons to believe Surface may have a favorable outcome. The technology is blowing away partners and tech analysts who have been treated to demonstrations. “People have been asking if Microsoft is still an innovator. I think this silences critics,” says JupiterResearch Vice President Michael Gartenberg. Industry analyst Roger Kay of Endpoint Technologies Associates concurs. “This is game-changing and will cause companies like Apple and Google to go back on their heels. I try not to gush too much. I think this is a really big deal.” Apple’s reaction to surface computing may well come up at the D conference this evening, where Gates and Apple CEO Steve Jobs are scheduled to make a joint public appearance. Apple, of course, uses multitouch screen technology in the upcoming iPhone. Microsoft’s technology has to be seen to be best understood. Think of it as a bridge between physical and virtual worlds and something out of Steven Spielberg’s Minority Report. “We all sat around the table and watched the demonstration, and my jaw dropped,” says Hoyt Harper II, Sheraton’s senior vice president for brand management. •Photos and music. Drop a Wi-Fi-capable digital camera onto the table and watch as pictures spill out onto the surface. You can “grab” the photos with your hands — enlarge and drag them and order prints and postcards without leaving your chair. Similarly, you can browse through album covers on the table, purchase the songs you want, and drag them into specific playlists on a Microsoft Zune portable music player, or presumably any other Wi-Fi-capable player. •The restaurant experience. A waiter places a wine glass on the table. Instantly, you’ll get information about the vintage, including pictures of the vineyard and suggested food pairings. You might even be able to book a trip to the region where the wine came from. The table could also be smart enough to know when your glass needs to be refilled. •Games. In one of the most compelling product demonstrations, people are given a number of glass tiles to place anywhere on the surface. Upon doing so, each tile shows a piece of video. The challenge is to rearrange all the tiles to complete a video puzzle. IGT is developing community-type games based on Surface for gamblers in casinos. “This opens the door for the kind of excitement you’d see in a craps pit,” says Ed Rogich, IGT’s marketing vice president. IGT has to submit any new Surface-based games for regulatory approval. “Ours will be one of the more complicated usages of this technology,” Rogich says. What’s more, while a version of Vista helps make the table interactive, Microsoft has been careful to leave the familiar computer interface out of it. You won’t see a “Start” button or any other icons, objects and folders common to Windows, even when booting up the system. Surface comes out of the Microsoft division responsible for Xbox and Zune, but “Microsoft has allowed us to be standalone business … without the manacles,” says Pete Thompson, the Microsoft Surface Computing general manager. Microsoft has kept the project quiet even at its Redmond, Wash., campus. Thompson says many Microsoft employees will learn about Surface for the first time with today’s announcement. The genesis of the surface computing project, until recently code-named Milan, dates to early 2003, when a team of Microsoft researchers showed Gates an early prototype built into an Ikea table. By 2006, the Milan team had grown to more than 100 employees. “Four years ago it was pretty clunky, but even then when I saw the first prototype I saw the potential,” Gates says. Harrah’s plans to turn the tables into virtual concierges that encourage guests to explore its Las Vegas properties. Guests at Caesars Palace, for example, would be able to tour interactive maps of the hotel. An icon representing Elton John or Celine Dion concerts, for instance, might display video footage from the show and pricing and ticket information. Move over to the icon for a particular restaurant, and you might see what the current line to get in is like. And if you place your hotel customer rewards card on the table, Surface can store meal and drink preferences. “We think this has a sense of hipness or a cool factor,” says Tim Stanley, Harrah’s chief information officer. Guests at Caesars may be issued promotional chips at check-in or when visiting other Harrah’s hotels. By placing them on the table they may win prizes or get discounts. “We do a lot of promotional things today, swipe and win and scratch-off kinds of things. This just gives a whole other different dynamic to it,” Stanley says. T-Mobile is expected to put tables in retail stores where folks could compare features, prices and phone plans side-by-side. Customers might conceivably drag ringtones to the models they select. There are other practical concerns. The acrylic tables have to be durable to withstand fingerprints, germs and the drinks that will inevitably be spilled on them. Microsoft insists they are. Stanley says Harrah’s will be testing the tables under different ambient lighting and climate conditions. Privacy is another concern. Surface systems must be set up so users can easily wipe their sessions clean. More Canadians want to knock back margaritas in Puerto Vallarta than pints of ale in Portsmouth, according to Statistics Canada travel numbers. Mexico surpassed the U.K. last year as the second most visited country by Canadians, with Canadian tourists making 842,000 overnight trips to the sunny Spanish-speaking destination — up six per cent from 2005. Canadian travel to the U.K. fell 13.4 per cent last year to 778,000 overnight visits. The U.S. remains by far the most popular travel destination for Canadians, who made about 16 million overnight trips there last year — a 7.6-per-cent increase over 2005 and the highest level since 1993. Global Travel managing partner Scott Clute said Canadians’ growing preference for Mexico as a vacation spot makes sense from an affordability point of view. He noted most Mexican pricing is based on U.S. dollars and the Canadian dollar has strengthened against its U.S. counterpart in the past year while remaining flat or even declining slightly against the U.K. pound. “That just creates a better buying opportunity for Canadians,” Clute said in an interview. Statistics Canada noted a significant decline in Canadian travel to the U.K. occurred during the third quarter last year, coinciding with a major security threat at Heathrow Airport in London. Clute said Mexico remains an extremely attractive travel option for Vancouver tourists, with regular and charter airline service making it easy to get to a destination without having to change planes. He noted it’s a five-hour flight from Vancouver to Mexico, compared with nine hours to London, and the time-zone changes between Vancouver and Mexico are minor. Clute said all-inclusive travel packages to Mexico continue to attract more Canadians, especially young families looking for affordable getaways. But he noted the increase in travel to Mexico is happening at a time when the country has suffered from negative publicity about growing crime problems. 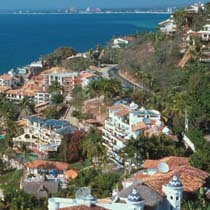 “Travel to Acapulco has slowed because of the problems there. Cancun has also had problems but people seem to overlook that and book all-inclusives there,” Clute said. Statistics Canada said France, Cuba and the Dominican Republic were the next most popular travel destinations for Canadians after the U.S., Mexico and the U.K. Visits to China increased by more than 55 per cent, reflecting an increase in the number of flights between Canada and China, while visits to Italy declined by 17.7 per cent to 315,000, following a 50-per-cent gain in 2005. 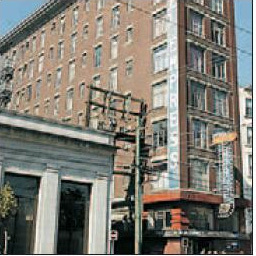 The provincial government paid almost double the 2007 assessed value for the residential hotels it bought in the Downtown Eastside when it went on a $37-million acquisitions spree for six weeks in February and March. 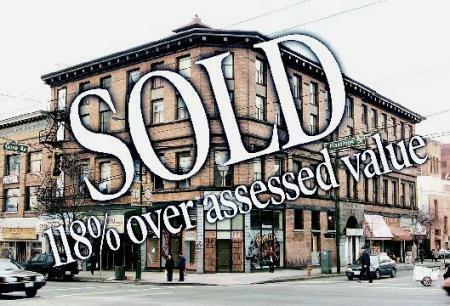 While it’s standard in Vancouver for buyers to pay more than the assessed value for property and the Downtown Eastside hotel market was among the most rapidly rising in the past year, the overall price paid by the province was significantly higher than the average prices paid in Downtown Eastside private hotel sales around the same time. Only one of the private buyers paid over double the assessed value, which the province did for six of the 10 properties it bought. Critics say the province overpaid because it was rushing to respond to a critical low-cost housing shortage that had been ignored for too long. But Housing Minister Rich Coleman defends the purchase prices as a reflection of the market and a good investment. In all, the province spent $37.14 million for 10 hotels that had an assessed value of $18,834,900 million on the 2007 roll, paying anywhere from 49 to 147 per cent over the assessed value. In the process, developer Robert Alan Wilson made $1.6 million in a couple of months when BC Housing bought two of his seven recently acquired hotels for $6.4 million after Wilson had bought them Feb. 14 and 15 for $4.65 million. Another recent buyer, Harpal Singh Daula, made $700,000 quickly when he sold the Carol Rooms to the government for $2.05 million after having paid $1.4 million for it in December. And the owners of the Rice Block, who bought in October 2005 for $950,000 and spent an unknown amount fixing it up, sold for $2.59 million. Prices had risen dramatically in the 12 months before the province started buying, as a record 24 hotels changed hands. But a comparison of the prices the government paid, analysed by increase over assessed value, by cost per room, and by cost per square foot of land, indicates the province paid the highest prices for any hotel transactions of the past year, even those of the past few months. Of the nine private sales on record between Oct. 1, 2006, and April, only one unknown buyer paid more than double. Others paid anywhere from two to 76 per cent over 2007 assessed value. The highest sales were the most recent, including the Burns Block, a vacant building that was recently auctioned for $1.45 million, and Alexander Residence, a 57-unit rooming house that sold for $4.15 million in March. 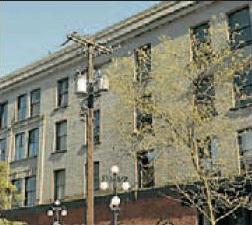 There are three recent listings for hotels and rooming houses for sale in the Downtown Eastside on public sites. They are listed at prices that work out to between $26,000 and $45,000 per room — and at between 45 and 90 per cent more than their assessed value. The higher prices the government paid are not because anyone knew the government was buying, by all accounts. People familiar with the gossipy, closely watched real-estate world of the Downtown Eastside say no one had any indication that the province was in the market. BC Housing used a shell company and realtors who were not their usual agents. Real estate experts say that it’s unlikely the government will lose any money in the future, since any land near the downtown is going to continue increasing in value. Coleman says the province paid the going rate — but not more — in a hot market and that, a few years from now, the hotels will be worth much more. “We could probably sell them all today for what we paid for them,” Coleman said. In fact, he said he started with the intention of buying only two or three hotels but, as he realized the ministry was able to acquire them at reasonable prices, he convinced other ministers to put in their year-end money to keep buying. The province bought so quickly because leftover year-end money only becomes known and available in about February and it has to be spent by March 31. But David Eby, a lawyer with the Pivot Legal Society, said all indications are that the government paid high prices because it was trying to buy quickly in a market with prices that wildly inflated. The past record of sales prices for Downtown Eastside hotels indicates that, if the province had decided to go on a buying spree last year at the same time, it could have bought almost double the number of hotel units as it did in February and March. The province paid an average of $62,420 per room. Even if the Orange Hall is removed — an anomaly because it has two-bedroom units and sold for considerably more — the province still paid $58,159 a room for the remainder. But last year at the same time, hotels were selling at a cost of about $25,000-30,000 per room. The cost per room didn’t go past $40,000 until October. B.C. Assessment Authority assessor Jason Grant said the Downtown Eastside residential hotel market has risen much faster than any other Vancouver sector in the past 18 months. Commercial assessments went up by 24.5 per cent between 2006 and 2007; general hotels went up by between 20 and 30 per cent. 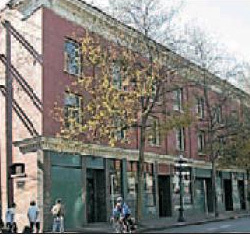 But downtown residential hotels “went up closer to 50 per cent in most cases,” he said. In the weeks before the province’s announcement about its hotel buys, there was considerable publicity about the housing needs B.C. would have to meet in order to keep the commitments it made as part of its Olympic bid. In February, The Vancouver Sun published a front-page story about unreleased recommendations of the housing table set up by Vanoc, saying B.C. needed to buy 800 hotel rooms in the Downtown Eastside and build 3,200 rooms to meet its Olympic promise. That caused a stir within the government, which was disconcerted by the recommendations and had been holding off on releasing the report publicly. 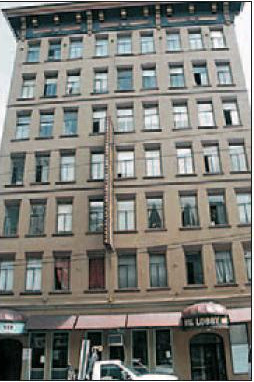 As well, Downtown Eastside groups had been applying public pressure for at least a year about the housing situation in the area, as hotels were being bought by developers. “I wish that there had been more planning,” said Eby. If you’re not ready to trade in your notebook computer just because it’s missing a DVD burner, here’s a cheaper solution. The SE-T084L is a front slot-loading DVD burner that plugs in a USB connection. It’s the only slot-in drive that supports eight-cm discs, making it possible to burn discs from DVD camcorders. The USB power means you don’t have to worry about carrying an AC adaptor. If you’re a road warrior at work or you simply want to copy holiday memories while you’re on the go, this makes a slim solution. The latest Fido phone offering marks a North American debut for this bar phone from Nokia. It takes no more space in your purse or pocket than a little candy bar. A skinny phone barely topping 13 millimetres, it still wraps all the toys into its flat package: a two-megapixel camera with eight times digital zoom, an MP3 player and FM radio, Bluetooth wireless, on-board memory of 512 MB that can be increased up to two GB with microSD cards, voice dialing, a hands-free speaker and other functions you expect in a phone. We know from expensive experience that a life jacket, while useful for keeping you afloat, does little for the digital camera in your pocket. Which is why, of the many features of this rugged camera, we were impressed by the waterproof-to-10 metres claim. Add to that crushproof up to a hefty 99 kilograms and shockproof to withstand a fall of 1.5 metres and this 7.1-megapixel camera can pretty much take anything you can throw at it — or throw it at. And it can do it all at temperatures as low as -10 C. With a three times optical zoom and a five times digital zoom, this is more than ready for summer. The city has charged an offshore company and a realtor in connection with the unauthorized removal of 82 trees on three adjacent multi-million-dollar West Side properties. Rosy Palace Investments Ltd. and realtor Paulo Leung are charged with the 82 counts under the city’s private property tree bylaw. The charges are related to an incident that occurred last November at 4883, 4889 and 4899 Belmont Avenue. Dozens of trees-cedar, Douglas Fir, holly, maple, weeping willow and fruit-were taken down without permits, creating concern about slope stability below the three vacant properties overlooking English Bay and potential damage to a salmon-bearing creek below the slopes. The land is owned by a company incorporated in the British Virgin Islands. City notices posted at the site were addressed to Rosy Palace Investments Limited in Hong Kong and Rosy Palace Limited, care of Dorothy Lau, The Burcon Group Limited, at 1946 West Broadway. Realtor Paulo Leung of Regent Park Realty Inc. was listing the three properties for $14.8 million at the time the trees were removed. Contacted by the Courier, Leung said to contact his lawyer, Bill Smart of the firm Smart and Williams. Smart indicated he couldn’t say much about the case because charges have been laid and the matter is before the court. 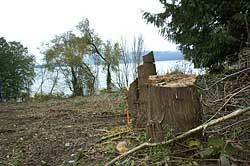 Sixty-five trees were axed without city permission on multi-million dollar private properties overlooking Spanish Banks Beach, creating a possible safety hazard on the slopes and causing potential damage to a salmon bearing creek below. The land, listed for sale at $14.8 million, includes three adjacent empty lots at 4883, 4889 and 4899 Belmont Avenue, a short street on the far west side of Vancouver featuring massive houses with spectacular views above English Bay. Cedar, Douglas fir, holly, maple, weeping willow and fruit trees were among those removed, but the unauthorized logging can’t be spotted from the road. Legal notices posted by city staff at the site are addressed to Rosy Palace Investments Limited in Hong Kong and Rosy Palace Investments Limited c/o Dorothy Lau, The Burcon Group Limited at 1946 West Broadway. The City of Vancouver, which has indicated the property owner is a company incorporated in the British Virgin Islands, is investigating the incident, as is the Greater Vancouver Regional District, which also notified the B.C. environment ministry and the federal department of fisheries and oceans. Private property owners must get approval from city hall to chop down any tree with a trunk diameter, measured 1.2 metres from the ground, of eight inches or more, according to the city’s private property tree bylaw. An owner can remove one tree a year with a $48 permit, although authorization is often contingent on planting a replacement tree. Any trees removed after the first must be accompanied by an arborist report indicating the tree is dying or is a hazard. Additional permits cost $78. Trees can also be removed, which are located within the building envelope during construction of a house or garage, but the city must approve the plans and tree removal permits are still required. Bylaw offenses can net fines of between $500 and $20,000 per incident. Aside from the unauthorized tree cutting, officials are particularly concerned about how the removal of the trees has or will affect both Spanish Banks Creek and the stability of the slopes. Jennifer Young, the city’s assistant director of communications, acknowledged the trees were removed in contravention of the private property tree bylaw. Along with the stop work order posted at the site, the owner was ordered to hire a geotechnical engineer to inspect the sites and assess the stability of the slopes. The northerly slope leads down to Spanish Banks Beach, creating a potential danger, and the westerly slope is adjacent to GVRD lands and the salmon-bearing Spanish Banks Creek. A staff report is going to city councillors during a special meeting Nov. 23 seeking permission for staff to follow up with enforcement, although Young isn’t certain who will be charged in the case. “It’s my understanding that on top of the bylaw contravention for removing these substantial trees, another level of it is, what now happens to the land when the trees are removed?” she said. City staff want a notice put against the property title to warn prospective buyers about the bylaw contravention, potentially unsafe conditions and mitigation costs that could be incurred. Mitch Sokalski, manager for GVRD parks west area, said the regional district is investigating whether the felled trees were on private property or park land. He said staff are concerned about the fishery and the ramifications to Spanish Banks Creek’s watershed, much of which is within Pacific Spirit Park. The regional district hasn’t monitored the full effects of the logging yet. One of the most notable such incidents involved businesswoman and socialite Jacqui Cohen. The Army and Navy store president paid $50,000 in court costs to the GVRD to settle a lawsuit over the cutting of 34 trees in Pacific Spirit Park in front of her family’s former mansion at 5850 Northwest Marine Dr. Cohen denied involvement in or knowledge of the 1997 incident, although she accepted responsibility for the actions of those who damaged or destroyed 29 big leaf maples and five bitter cherry trees. The $50,000 was intended to compensate for the loss of trees. Sokalski noted the fisheries and environment departments could also take action in the Belmont Avenue case. You are currently browsing the Les Twarog Vancouver Real Estate and Condo Blog blog archives for May, 2007.